We cannot think of other trees which polarize opinion in quite the same way as Camphor Laurels. They are either loved or hated, with a great passion. Camphor Laurels are very large and handsome ever-green trees. They can grow up to 30 metres (100 feet) high, with a very shapely, broadly domed canopy covering roughly the same span. 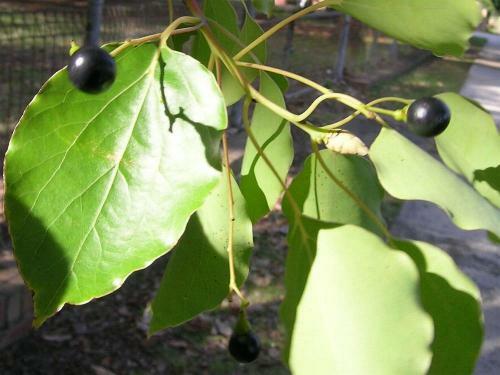 The tree has shiny, pointed, light green fragrant leaves. Originally from south-east Asia, many trees were planted soon after first western settlement in Australia, and in the last fifty years they have become popular street trees and garden specimens. They are popular in school playgrounds, providing welcome shade in summer for students in their study breaks. Only now are we becoming aware of their problems as the trees outgrow the space allotted to them. These now huge trees can disrupt drains and lift building foundations. 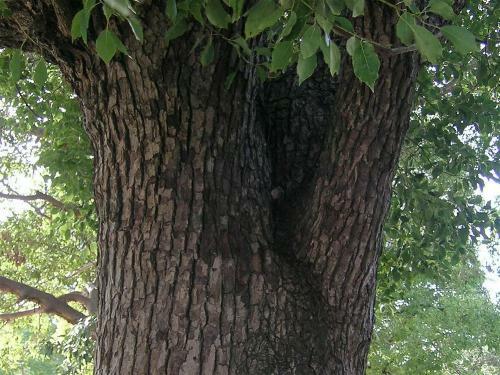 To remove a tree can cost $1,000 and upwards. 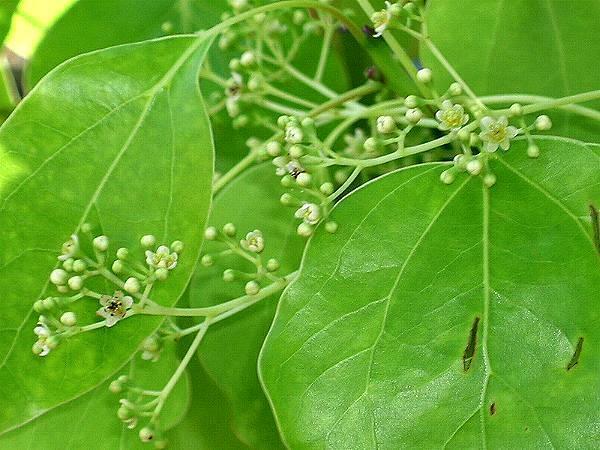 The tree flowers in early spring and often again in summer, with small, unremarkable creamy flowers, which are followed by small black berries that germinate readily. The climate of temperate to sub-tropical Australia suits it very well and as a result the trees self sow with gay abandon, aided by birds spreading the seeds having eaten the berries. The seedlings grow rapidly, crowd out all other vegetation, and then throw a dense shade which quickly takes care of the undergrowth as well. Away from suburbia the resulting monoculture reduces natural food sources for Australia’s unique animals. On the plus side the wood of the Camphor laurel has long been re-knowned for its volatile, fragrant insect-repellant oils. It is very light timber and easily worked, thus making it a favourite of hobbyist wood-turners and carpenters, who use it for crafting insect repellant furniture, chests and utensils. Others who speak in its favour are the Lepidopterists. They maintain that it is an important food source for the larvae of many Australian butterflies whose native foodplants have been decimated by the inroads of western civilisation. Even so these butterflies have declined in numbers. 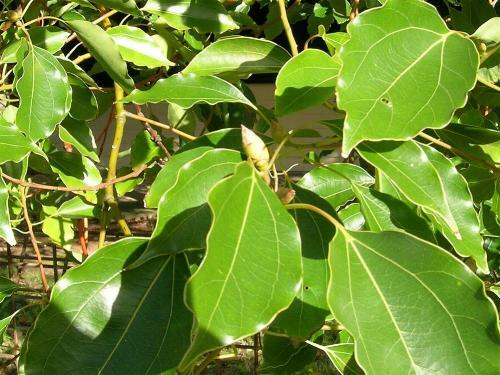 Some varieties of Camphor Laurel are poisonous to anything eating its leaves or its fruit, or even trying to grow beneath its canopy, so causing a virtual desert in home gardens for the full diameter of its canopy. Those who passionately hate the tree argue that the unfortunate animals that do consume Camphor Laurel leaves, shoots, bark or berries die in the long term as the toxins gather in their bodies and eventually kill them. However, the introduced feral pigeon ( Columba livia ) eats and disperses the seeds, apparently without any ill effect. Where the Camphor Laurel grows along river banks there has been a decline in fish numbers, possibly due to the toxins from the leaves and seeds entering the water. 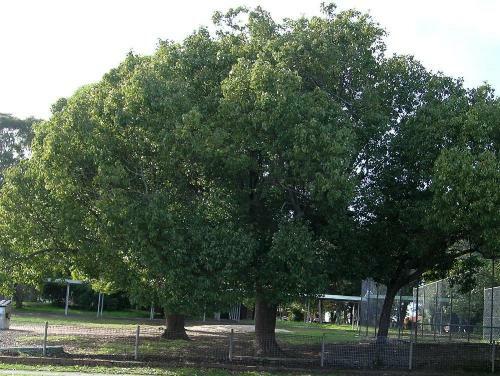 So whilst some issues are still being debated, the consensus seems to be that Camphor Laurels are considered a serious weed along most of coastal Australia, and no reputable nursery should recommend planting or even selling them anymore.